FEBO is a chain of Dutch walk-up fast food restaurants of the automatiek type. Founded in 1941 in Amsterdam, FEBO is most notable for this automatiek format: a counter is available for purchasing French fries, beverages, and hamburgers. 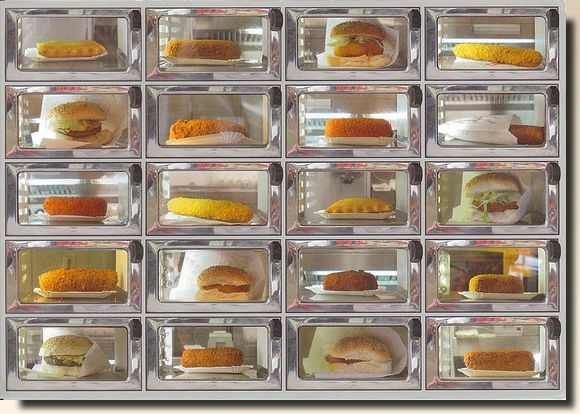 Other FEBO snacks can be bought from the automats. 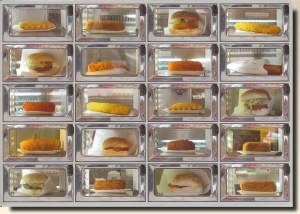 The primary automat-vended items are krokets, frikandellen, hamburgers, "cheese soufflés" and such. The FEBO motto "De Lekkerste" (Dutch) is translated as "The Tastiest". According to the company website, FEBO has almost 60 shops all over the Netherlands, with 54 being franchises. There are 22 shops in Amsterdam alone. Originally a bakery named "Maison FEBO" after Ferdinand Bolstraat in Amsterdam, where the founder was an apprentice baker, the name was later shortened to just "FEBO".